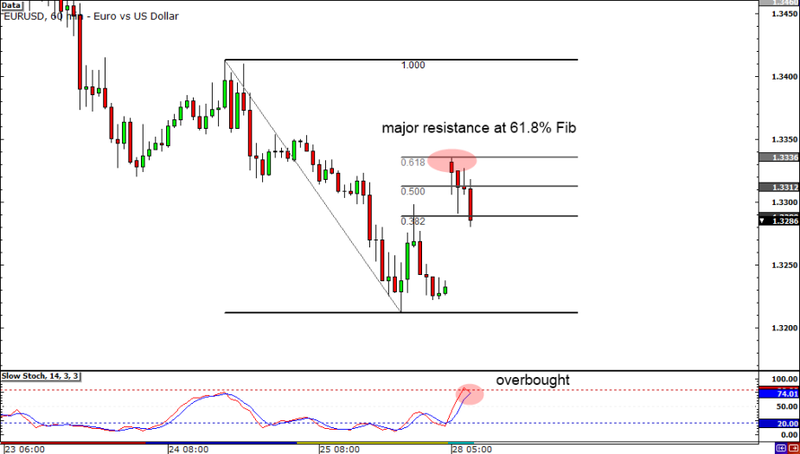 Look at that sweet Fibonacci retracement setup on EUR/USD! If you’re part of the bear camp, then this could be a good opportunity to sell the pair at a decent price. In addition to the Stochastic showing overbought conditions, the pair just found major resistance at the 61.8% Fibonacci retracement level. Bulls, rejoice! After trending downwards for three straight days, the pair finally managed to show some muscle and break through the falling trend line resistance. It gapped up to to start the week but quickly found resistance at 103.50, which is a former major swing high. 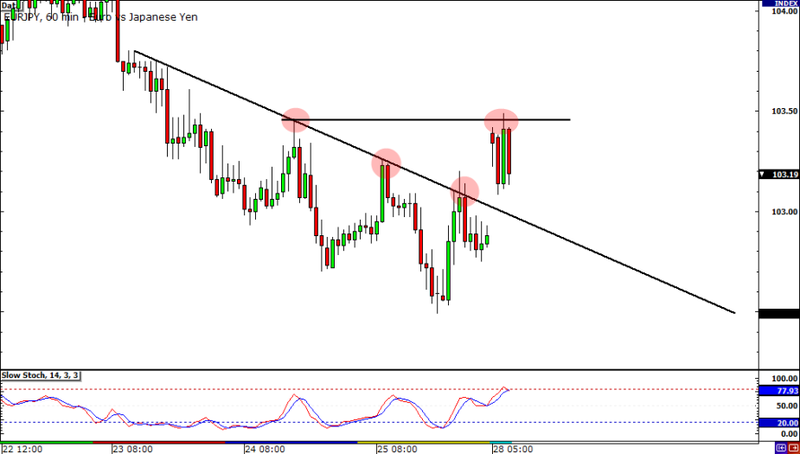 Will the pair go higher and break through 103.50 or will it fall again? To answer that question, look for signs to confirm your bullish or bearish bias. If you’re bullish on the pair, wait for a candle close above 103.50. On the other hand, if you’re bearish on the pair, a dip below 103.00 is what you’re looking for. 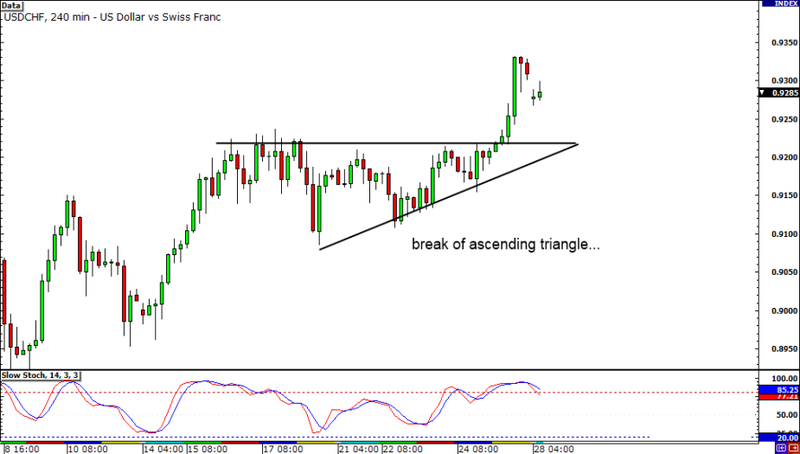 We haven’t seen ascending triangles recently, but it seems that when they appear, they usually work out! As you can see, the pair managed to finally break out of its ascending triangle formation. It pierced through resistance around the .9200 major psychological level and posted new highs. From the looks of it, the pair still has a lot of room to go higher. Be careful though… The Stochastic shows that conditions are overbought already!